Since the initial thoughts of the establishment and the April 2006 foundation date, we are committed to work for our region. With all our activities, projects and services we intend to facilitate the national objectives on our regional level – jobcreation and improvement of the living standard. We wish to realize our objectives in a business-like, efficient and customeroriented way, but empathically, at the same time. Our approach is established on the concept that the community of the individuals is more than the sum of the individuals. Both the results of our operation and the feedback of our customers provide evidence in our five years of operation for the validity of this philosophy. 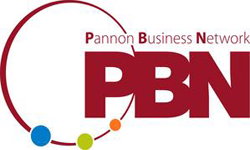 The civil character of PBN is rooted in its membership and the way of its work. The economic benefit of our operation serves the funding objectives of our association. Our aspiration for business result-orientation creates the fundaments of our operation. The reason of this publication is to provide evidence how we could contribute to the realization of our defined goals. We would like to thank everyone, who made this happen, in order to enable us to keep on working for our region. PBN is the task leader of 1.4 Final business process documentation. This task focuses on consolidating the work package results into a single report on business processes which need to be implemented in order to successfully deploy a marketable solution.